From SATs and PSATs to final exams to spelling tests, all require studying ahead of time, plenty of sleep the night before, breakfast, and feeling calm and confident. Find more tips and strategies for preparing for tests and taking tests. 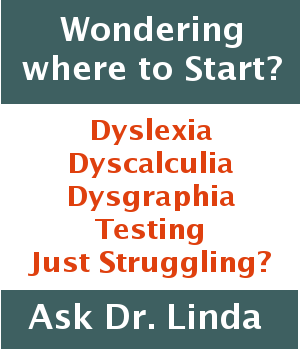 Beyond learning disabilities and tutoring, our Mahopac, NY office specializes in test prep. Throughout the year we offer test prep courses and "boot camps" timed to end just prior to picking up the #2 pencil. Whether it's the NY Regents Exam, the ISEE, the PSAT or the SHSAT - we keep students up to date and ready to excel at any level. Check our StrongLearning.com site for more details and information on the next sessions. Whether your SAT test preparation consists of working on your own, in a group or class, or one-to-one with a qualified SAT tutor, a good attitude will help you get a higher score. Of course a positive attitude doesn’t give you more knowledge but it does make taking the test less stressful. Stress makes you too tired to think clearly. Stress can actually make you forget what you know.